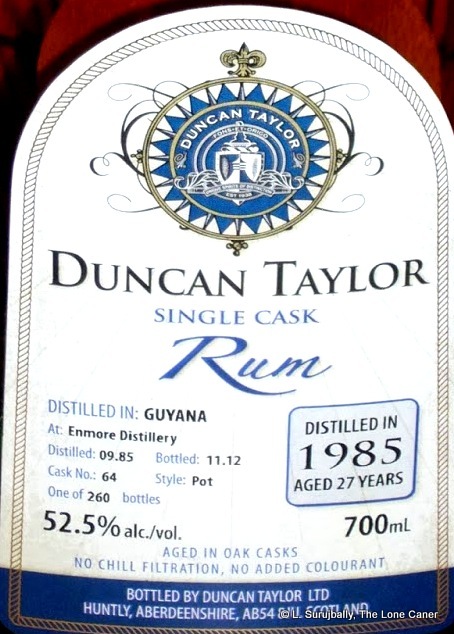 Two independent bottlers out of Europe which I have not done much with are Mezan and Duncan Taylor, though I have samples and a plethora of notes of rums from both. Let’s try to remedy that this week with a quick look at the current subject, which presses many of my buttons at once: it’s from Enmore estate but the single wooden Versailles pot still (which alongside Port Mourant is one of my favourite stills from Guyana), distilled in 1985 and bottled in 2012 so a hefty 27 years old, and it has a no-nonsense strength of 52.5%. Need I say continental ageing? No additives or messing around? Probably not. You could tell that as one of the first rums they issued, they probably figured that they’d release a 27 year old Hulk to the market and reap all the glory therefrom. Did they succeed? Not quite.The nose was fine, mind – very light, thin and sharp, redolent of glue, acetones, pencil shavings, the rich aroma of a brand new leather jacket, oak, a little anise and a raft of light and indeterminate fruits (apples, orange peel and pears) that were difficult to pick apart. It had a musty sort of smell too…like aged, dust-covered old books in a stuffy library. Odd, but by no means unpleasant. Thinness of the nose aside, the palate took something of a ninety degree left turn. It felt thicker, richer, with the glue and furniture polish notes receding, yet what emerged was a rum that seemed over-oaked, and very dry, very crisp. What fruits there were – and there were some, mostly raisins, pears, unripe apples and green mangoes – were of the mouth puckering kind, quite tart, accompanied by orange peel, nutmeg, cardboard or drywall, and something that reminded me of the dustiness of a drought-stricken backyard. The strength was fine for what it was – not low enough to make it a mild crowd-pleaser, not so strong as to make it an assault on the tongue, so on that level it succeeded just fine. The finish gave up more of those tart fruity sensations, oak notes, some pepper and cooking herbs (thyme and parsley)…yet overall, it somehow failed to cohere really well, and the whole experience was deflated by its relative lack of voluptuousness that either some more ageing or some time in tropical climes might have ameliorated. Duncan Taylor started life in 1938, formed by Abe Rosenberg and his two brothers, who had a sales license for major states in the US which allowed for rapid growth in the post-war years (especially with the J&B brand). It was a company that dealt in whiskies, both as a merchant and as a broker in Glasgow, and over time they acquired what was one of the largest privately-held collections of rare malt whisky casks in the world. The partnership was sold in 1980, but the collection of whiskies owned by Duncan Taylor was not part of that sale. Euan Shand and his partner Alan Gordon bought it in 2002 and moved the company to Scotland. At that point they made a conscious decision to cease operating as a broker and tread down the road of being an indie bottler of its own branded whiskies. 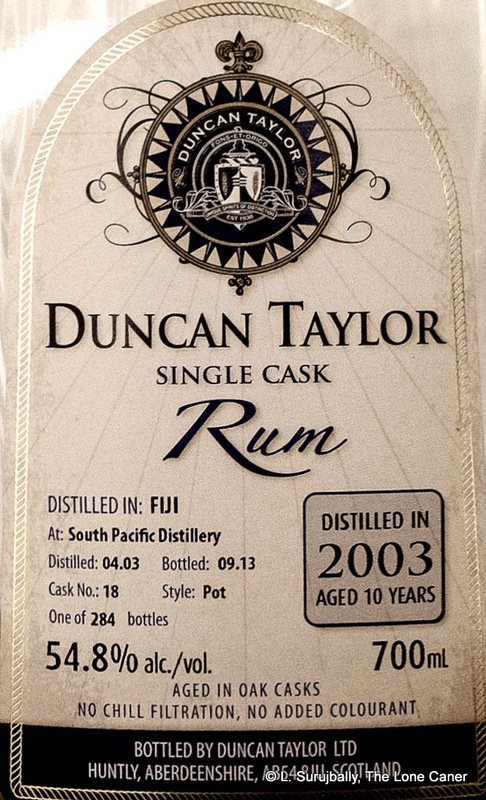 In 2012 they expanded the portfolio into rums as well, although thus far it seems that those who have been fortunate enough to review some of their work (mostly Wes and Steve), feel that it’s a bit hit or miss. Here, I’d have to say that the Enmore 27 YO is rather more miss than hit, and it copied the form of the Veliers without the underlying passion that served Luca so well in his own Enmores. Which is surprising because even in continental climes, twenty seven years is twenty seven years and I somehow felt there should be more on display here. But it just doesn’t gel for me – there’s a thin kind of hardness to the experience which I did not like, a sort of cold, austere, uncompromising lack of warmer flourishes and tastes which I see in tropically aged rums that slept many years less. 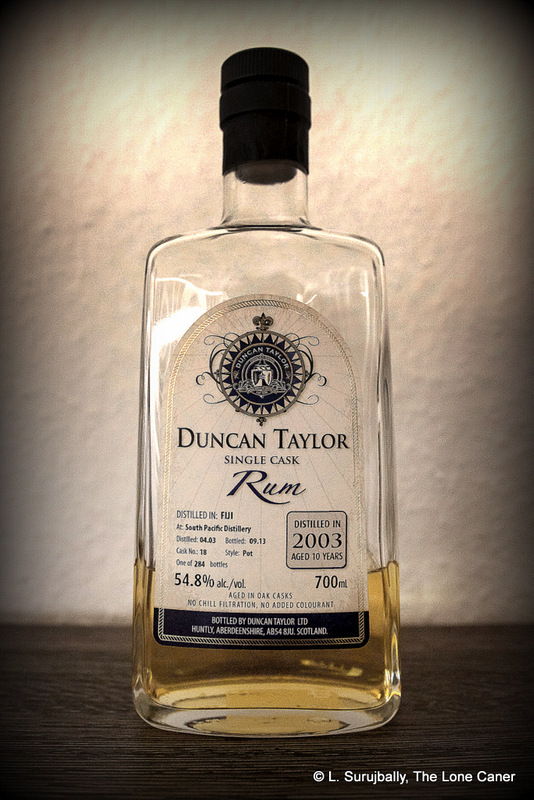 Essentially, it tastes like it’s not quite ready to be decanted, and in summary, I conclude by noting that Duncan Taylor might have thought, when they issued this well-aged rum, that they were channelling the Hulk…but in reality, after all that time, only succeeded in growing a green fingernail. Thanks and a hat-tip to Maco Freyr of Barrel Aged Mind, who not only wrote the definitive biography of the company, but sent me the sample…which he also reviewed, more positively than I did. He also wrote that the rum was not from the Enmore wooden coffey still, but the Versailles single wooden pot still which was housed at Enmore before being moved to Diamond. The word “pot” on the bottle label makes that clear. Nope, all apologies to the islanders, but Fiji still doesn’t ascend to the heights of a country whose rums we must have. Yet. Let’s just dispense with two more Fijian products that crossed my path, provided by my friend Cornelius of Barrelproof, who, it should be noted upfront, liked them both a lot more than I did. We don’t see many products from that country anywhere – “Eastern” rums don’t make it west of the iron curtain very often, so it’s mostly in online emporia that we find find rums from Fiji, Australia, Indonesia or even Japan; these are sold primarily in Europe, not in North America. Bundie, Don Papa and Nine Leaves look to buck that trend but they are small potatoes, really, and you’re still gonna look hard to locate a Tanduay, or even the stuff out of India. 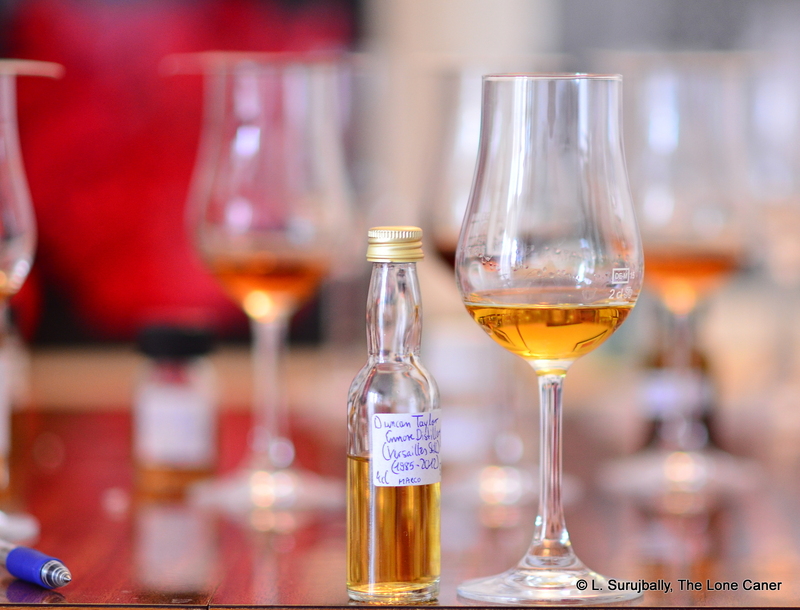 Anyway, independent bottlers Duncan Taylor, the Rum Cask, Compagnie des Indes, Berry Brothers and some others do take the single barrel route, and so perhaps we should be grateful that we do get the chance to try these unusual profiles whenever we can. 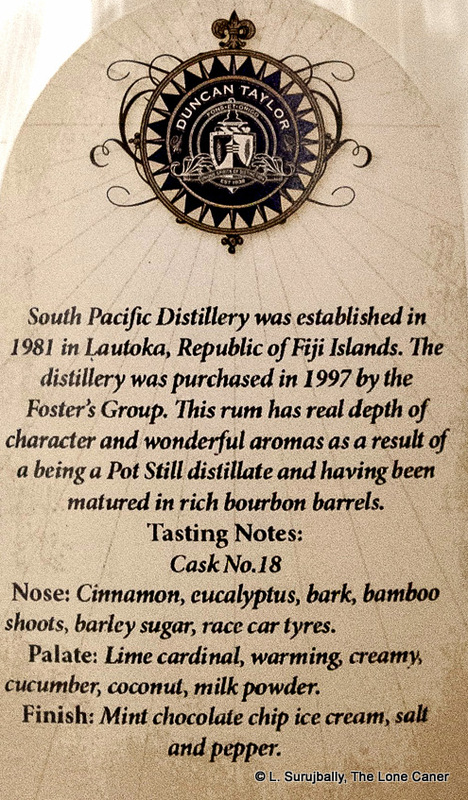 The rum came from the same distillery as the BBR 8 year old and the Compagnie’s 10 year old: the Fijian South Pacific Distillery now owned by Fosters from Australia, and located in the northwest of the small island. I said “unusual” a moment ago…it was not a word I chose lightly. I poured the 54.8% hay-blonde, pot-still spirit into my glass, and flinched as if I had found a roach in my soup (oh waiter…!) Sharp, snarling smells of kerosene, sealing wax, floor polish emerged fast, like a pissed of genie out of his lamp, ungentle and clashing with each other in a most unbecoming fashion. I went back to the shelf and checked out the Clairin Sajous to see if it was me…nope, that was still better. Ten minutes rest period didn’t help much – turpentine, acetone, wet paint decided to come out now, joined by candle wax, green grape skins…and I was left thinking, if this was pot-still, unfiltered, and issued “as-was” from the barrel, maybe the barrel needed to be changed; and to be honest, if ever I tried a rum that made a strong case for either more ageing or some dosage, this was it. The smell was simply too raw and unrefined. Most of what it displayed was liquid sandpaper only marginally improved by some ageing. To my relief, there was some compensation once I tasted the thing. Better, much better. Heated and very spicy, medium bodied in texture, and all this was a welcome change from the initial attack. It tasted of red olives in brine, with a sort of meaty background, like a plastic tub of salt beef just starting to go. Then at last more familiar notes asserted themselves and stopped mucking about, and I sensed some green grapes just starting to go, vanilla and smoke (not much), a very herbal, grassy element, more brine, sweet soya, some citrus, ginger and a good Thai veggie soup. Cornelius felt it displayed something the funky charm of the Jamaican style, so if you ever get around to trying it yourself, there would be something to watch out for. The finish, unsurprisingly for such strength, was long enough, and I couldn’t say it was either good or bad – it existed, it lasted, I got notes of lemongrass, vanilla, citrus and soya and brine again, but very little of a more comforting back end. Colour me unimpressed, sorry. Although the aromas and tastes suggest a cane juice base distillate, the Ministry of Rum and Fiji Rum Co. pages both say molasses. Which makes the profile I describe even odder, because it was so much like the clairins, but lacking their fierce commingling of the same tastes into a synthesis that worked. The nose was too jagged and too raw, the palate worked (up to a point) and the finish was nothing to write home about. In my opinion, this rum should have been left to sleep some more. The outturn was 284 bottles from a single cask, and it was aged in an oak cask for ten years, yet honestly, you might think it was no more than a three year old (or even younger) from the way it fended off any efforts to come to grips with it. I’ve now tried four or five Fijian rums, and admittedly, that’s hardly a huge sample set; still they do all exhibit a kind of right turn from reality that takes some getting used to, for those of us more accustomed to Caribbean traditionals or agricoles (which is most of us). They may be proof positive that terroire is no mere subtly abstract concept which is insouciantly bandied about but lacking real meaning, and I believe that rums from other parts of the world do indeed provide their own unique tastes and smells and sensations. The flip side of that, is that I have yet to acquire a real taste for some of them. I’m not going to write Fijians off like yesterday’s fish…but thus far I haven’t met any (out of the few I’ve tried) that blow my socks off either. Certainly this rum doesn’t. Yes, if I see more Fijians, I’ll buy. Still really curious about them. The tasting notes above are my own. I didn’t see the back label until Cornelius kindly sent me some pictures of the bottle.